Williams lived fast and died young but in 1951 he was able to do radio broadcasts at 7.15am, where the wisecracking improvisor showed his mastery of music. By now you’d think we know everything there is to know about Hank Williams. He had a short life, dying New Year’s Day 1953 aged 29 in the back of a car parked at a gas station in rural Virginia. Three years earlier he had made his debut on the Grand Ole Opry, launching a body of work that would serve as one of the definitive blueprints of modern country music. A definitive box set in 1998 claimed to house every note Williams sang. Not so fast. This month marks the reissue of a 15-CD set called The Complete Mother’s Best Collection ... Plus! 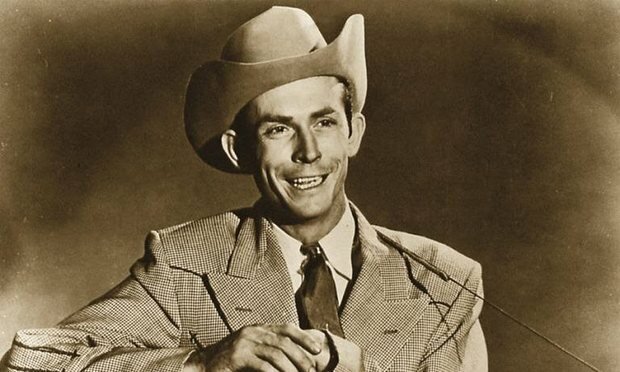 unveiling 142 lost performances by the country music star in an unvarnished setting as the featured performer of an early morning radio program in 1951. The recordings, rescued from acetates salvaged in the 1970s and the center of a 10-year legal battle, contradict the image of a doomed and self-destructive country singer known for harrowing fare like I’m So Lonesome I Could Cry, Your Cheatin’ Heart, and I’ll Never Get Out of This World Alive. On these records, Williams is a wisecracking improviser at the height of his musical powers with an encyclopedic brain for gospel hymns, traditional folk ballads, children’s songs and anything else a rural listener in the Tennessee region might want to hear in the early 1950s from one of the biggest country stars of the day. The notion of being heard more than a half-century later did not occur to Williams and his band the Drifting Cowboys because the recording discs, called acetates, were meant for single use only. The 15-minute shows, aired weekdays at 7.15am on WSM, home of the Grand Ole Opry, were recorded only for dates the band was on the road. The discs were a popular way for radio stations to preserve broadcasts, first for shipping overseas in the second world war to entertain the troops, and then for broadcast in different time zones. No acetate transcription was intended for commercial use, which is why most radio programs from this time period remain lost forever. The story of the recordings is long and tortuous. Les Leverett, a former station photographer for WSM, is credited for salvaging the recordings from the garbage after the station had moved offices in 1961. He held onto them for years and then sold them to Hillous Butrum, bassist in the Drifting Cowboys but who had left the band in 1950, one year before music on the acetates had been recorded. They were copied to tape in 1981. One year later the tapes ended up in the hands of Legacy Entertainment Group, a Texas company that Williams said lifted her father’s vocals and match them to new music. Polygram, parent company of MGM Records, Williams former record label, claimed it owned the exclusive rights of the performances and sued. In April 2000, the court dismissed Polygram’s claims, saying its 1947 contract with the singer did not apply to recordings never intended for commercial release. In 2006, the court placed the recordings exclusively in the hands of Jett Williams and her half-brother Hank Williams Jr. The siblings initially issued the recordings in a 2010 box set for Time-Life. This new edition is tailored to accompany I Saw the Light, the recent biopic starring Tom Hiddleston as Williams. Listening to the discs reveals Williams as sweetly charming and also a prankster. His wife and occasional duet partner Audrey Williams sings with him and their interaction – teasing and playful – is more poignant knowing their tumultuous backstory. Audrey dedicates her self-penned song Tight Wad Daddy to her husband. The couple would divorce the following year. 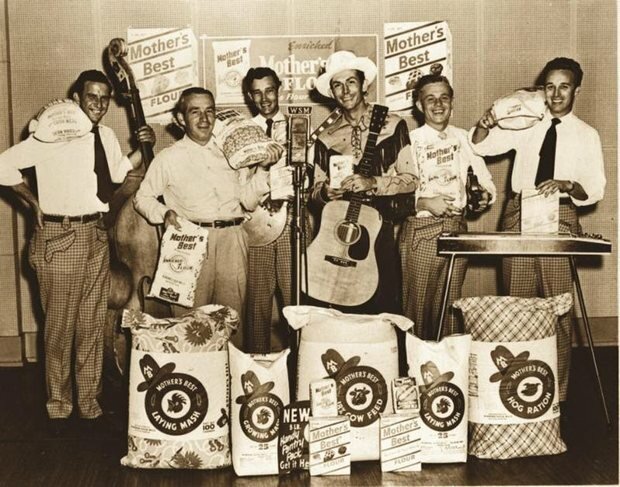 The shows were for Mother’s Best, a flour company in northern Alabama, Williams’s home state. The show followed a simple formula: Williams opened with Lovesick Blues, followed by banter with show announcer “Cousin Louie” Buck. Then, in-between scripted commercials aimed at housewives, Williams performed two more songs, the last always a spiritual. That song selection is why music historians consider the shows so valuable. Many of these are early live recordings of Williams’s best-known songs, made shortly after their studio versions and not well known to audiences. He also presents songs, like Alabama Waltz, which he wrote but never recorded. Then there are favorites of his written by other people, such as Have I Told You Lately That I Love You by Scotty Wiseman of National Barn Dance fame or Precious Lord, Take My Hand by Chicago gospel great Thomas Dorsey. Jett Williams has a story that could be a country song itself. She was born to Bobbie Jett, a woman her father had an affair with between his two marriages. Jett gave birth to their daughter five days after Williams died and not long after he had married his second wife. Her father had established a custody agreement for his daughter, naming his mother as sole custodian in the wake of his death. But three years later, Jett’s grandmother died and she ended up in the state’s foster care system. It wasn’t until she was 21 that her adoptive parents told her the identity of birth father and it took until 1987 for a circuit court in Montgomery, Alabama, to officially establish the bloodline. She then had to fight Hank Williams Jr to be recognized as a legal heir to their father’s estate; the Alabama supreme court ruled in her favor in 1989. Williams, who is a co-producer of the Mother’s Best collection, has taken a lead role in promoting her father’s legacy. A few years ago she brought another set of radio recordings from 1950 titled The Garden Spot Programs to Omnivore, the reissue label lauded for packages by Big Star and Dr John, among others. The set won a best historical album Grammy last year. With his death, Hank invented the musicians’ archetype of living fast and dying young. But the Mother’s Best shows push back. The singer’s playful banter with his band, knowledge of current headlines and biting humor suggests a star capable of illuminating audiences even between songs. The recordings are especially poignant knowing he was in the throes of major back pain that he tried to remedy, first with morphine and alcohol, and later that year with surgery at Vanderbilt University Hospital in Nashville. Williams says the general image of her dad – “so lonely, so drugged out, a total alcoholic” – is tiring. “Nonsense. This guy is in the studio first thing in the morning and he sounds pretty damn chipper to me. Guarino, Mark. "Hank Williams: The Lighter Side of the Godfather of Country." The Guardian. July 20, 2016. Accessed July 21, 2016. https://www.theguardian.com/music/2016/jul/20/hank-williams-country-music-radio.